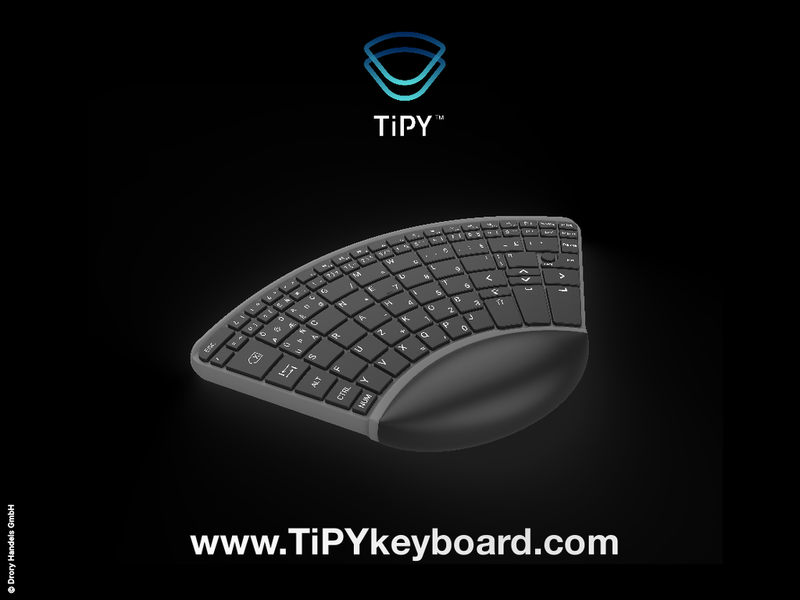 Here you can find all information and pictures to write a story about TiPY. For any questions, please just call me at any time. 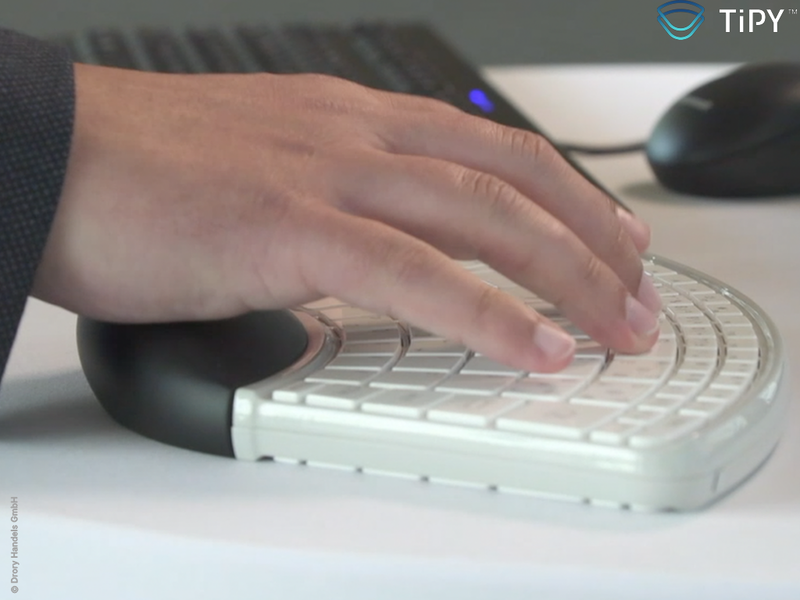 One of the most important communication tools of our time can now be operated completely with one hand. 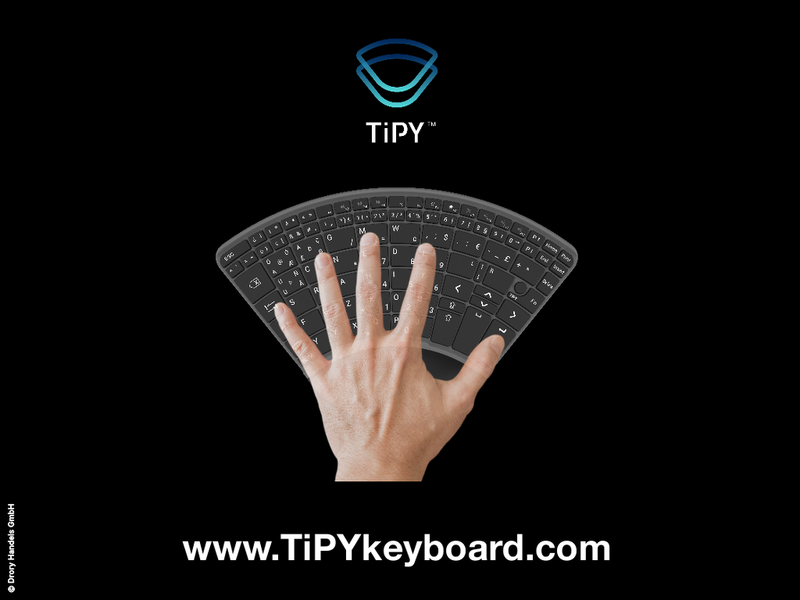 With a new key concept and a built-in mouse function, TiPY enables the editing of all programs, including key shortcuts, complex tables, full word processing and all the advantages and possibilities of a computer in 12 languages. 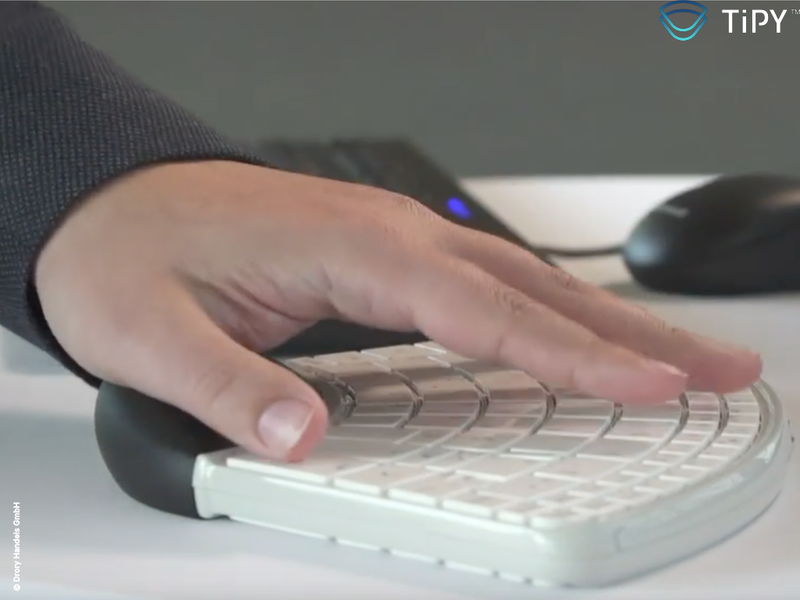 The patented, double-sided keyboard, which is unique in the world, allows unrestricted use of the left and right hand via the rotatable, ergonomic palm pad, the hand pad. 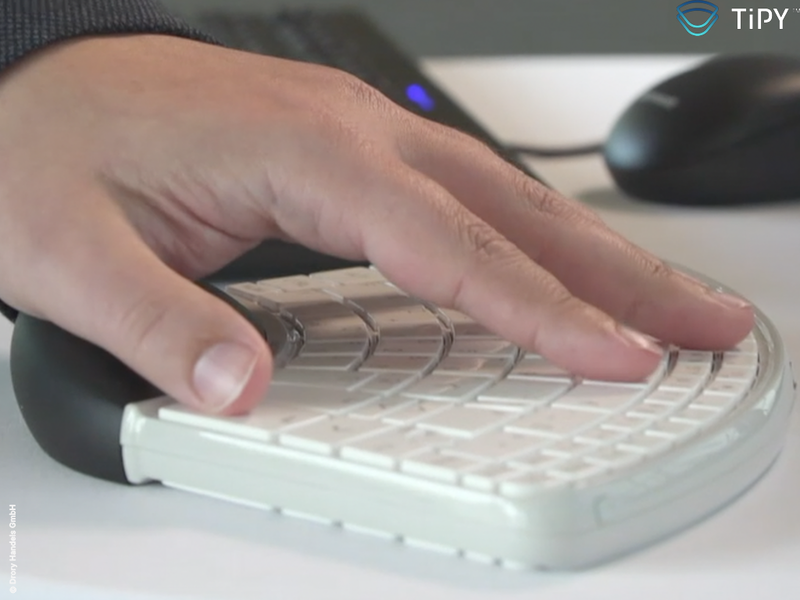 A specially designed typing trainer makes the transition to TiPY easy. 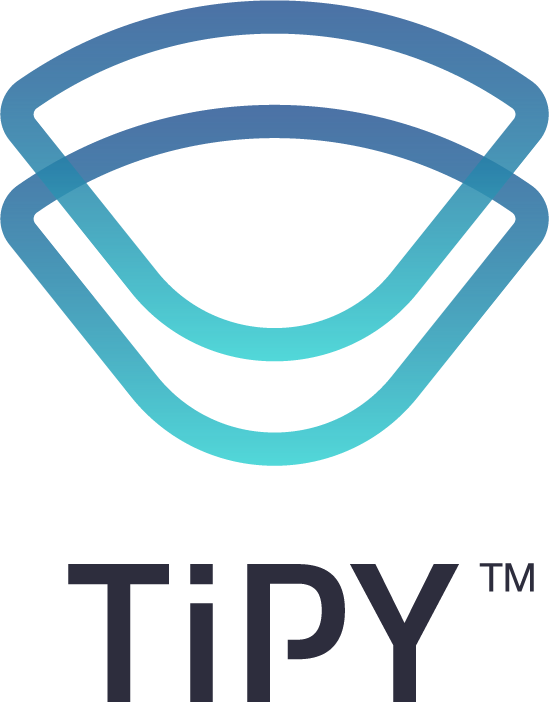 TiPY makes work, life and communication on the computer faster and more efficient. 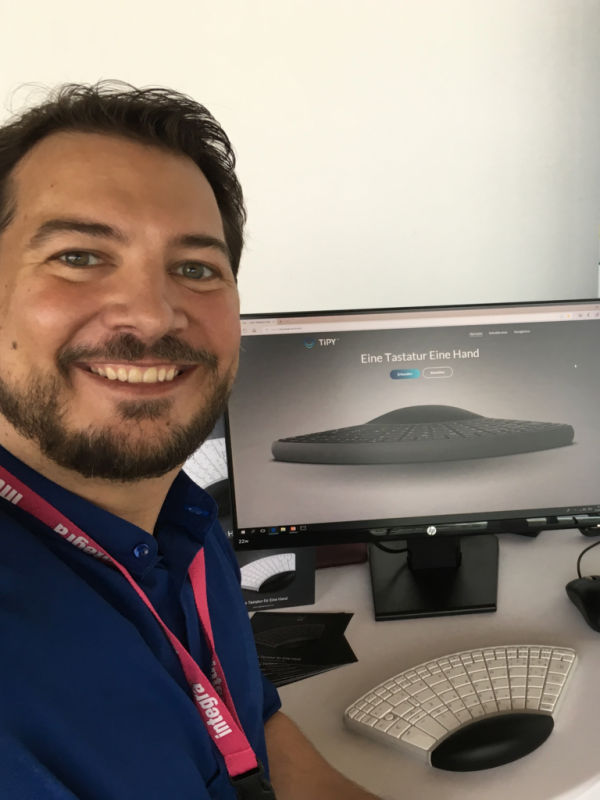 Together with the great support and expertise of Duller and Partner GmbH, TiPY will be completed in 2018 and ready for production. The sale will start this autumn 2018. 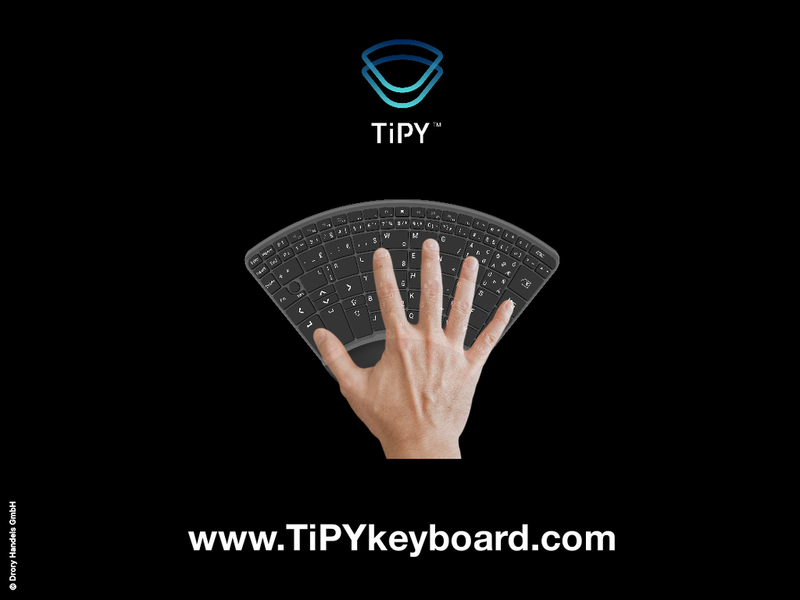 TiPY’s most striking feature is the one-handed computer use, which appeals to many afflicted people who are physically disabled with arms and hands or paralyzes.  The added value is unmistakable here, but also non-afflicted people who value efficient work, such as people who use different input devices at the same time or write a lot on the phone without wearing a headset, have already been interested. 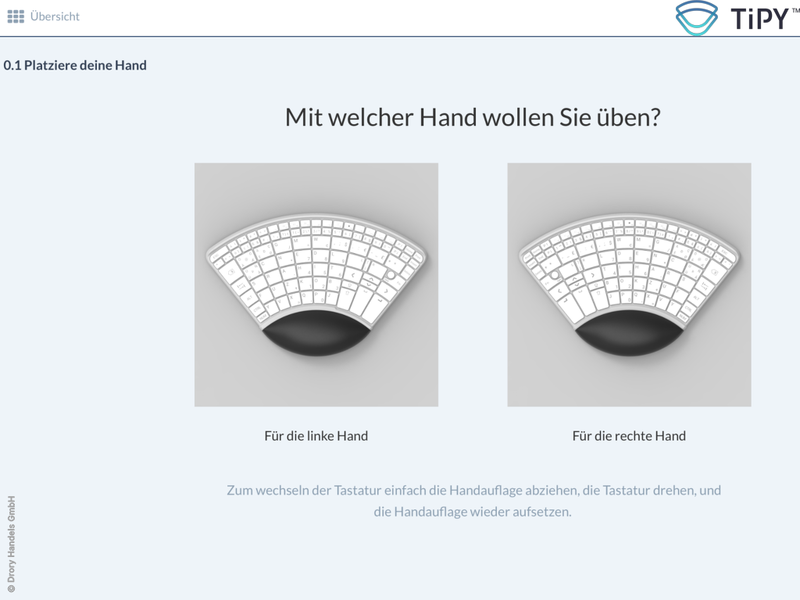 TiPY will cost 160,- Euro without taxes and will be available on an online shop as well as already interested distributors in rehab, physical, medicine and communication business. 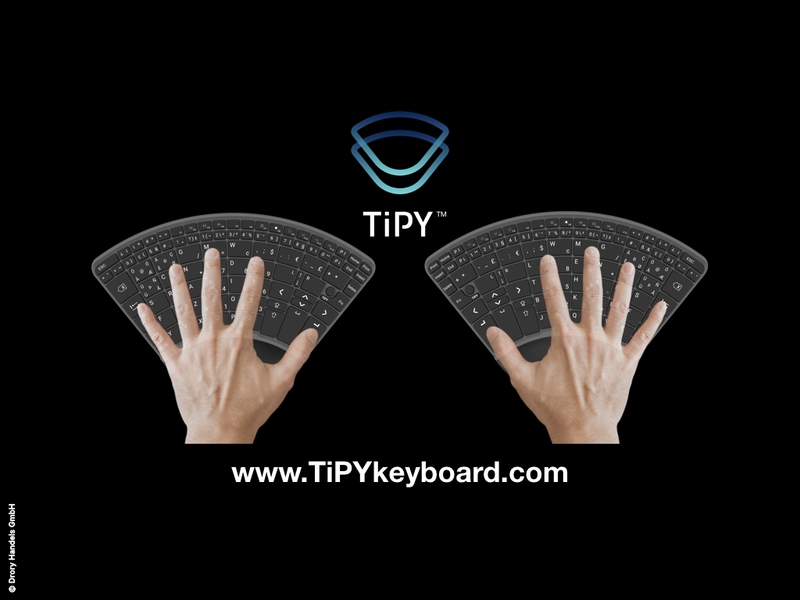 TiPY is a new step in the future communication between humans and computers. 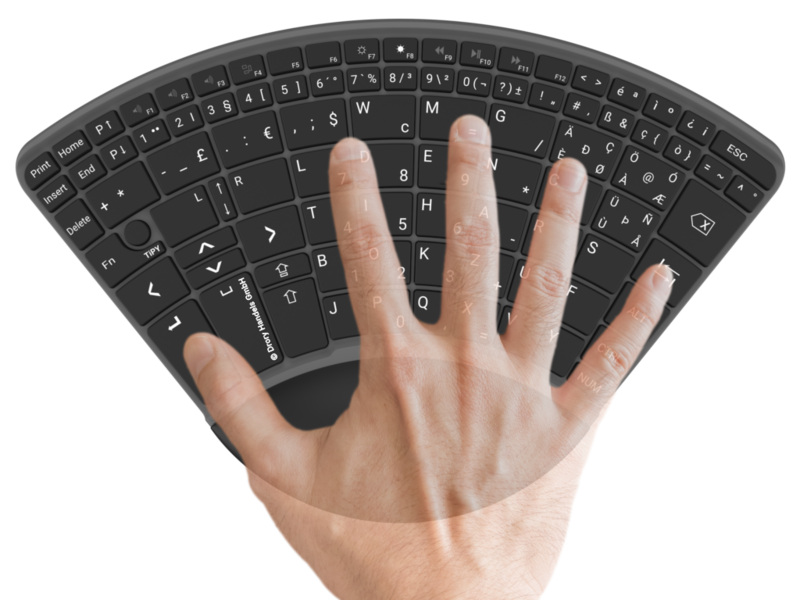 I’m looking for a one hand keyboard. I need a way of simple but professional input on the computer. 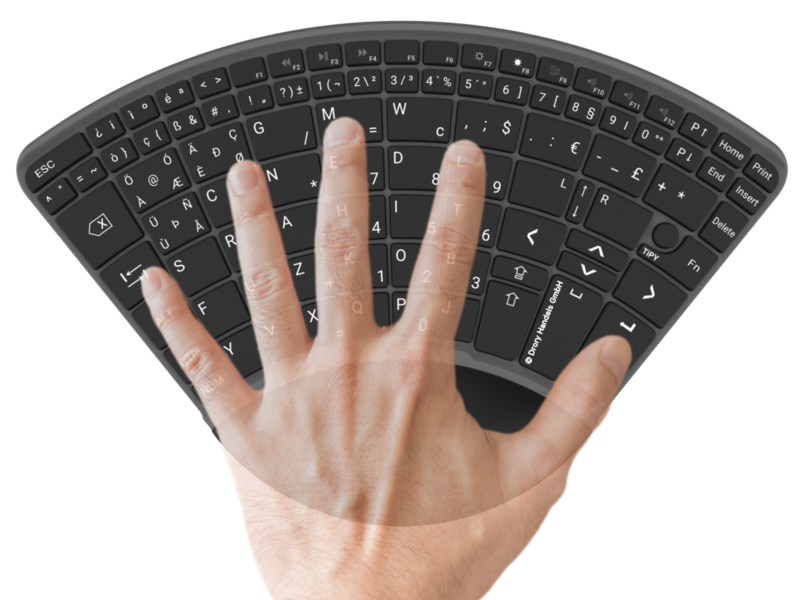 I want to fully operate the computer, edit texts, spreadsheets and programs. Programming, code writing and playing, doing everything possible. TiPY is the solution. I think it’s a pity that it even needs the term inclusion. Nevertheless, I have to admit to myself that until my work on TiPY and the contact with the Austrian Disability Council itself, I have hardly perceived it. Communication is one of the most important keys to sharing, understanding and helping each other. Communication is my central topic and that of TiPY. 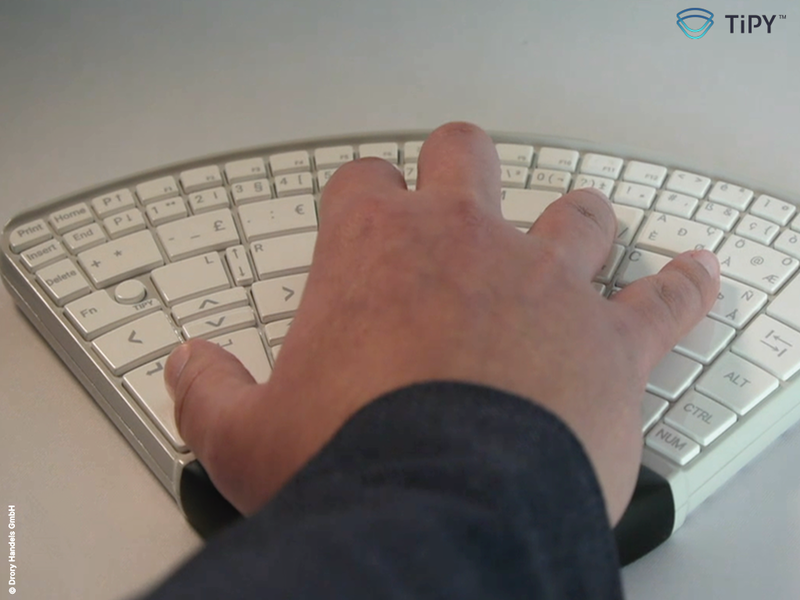 Having a barrier-free life, working and communicating with the computer, will definitely help to improve inclusion and make it more accessible and possible for people. 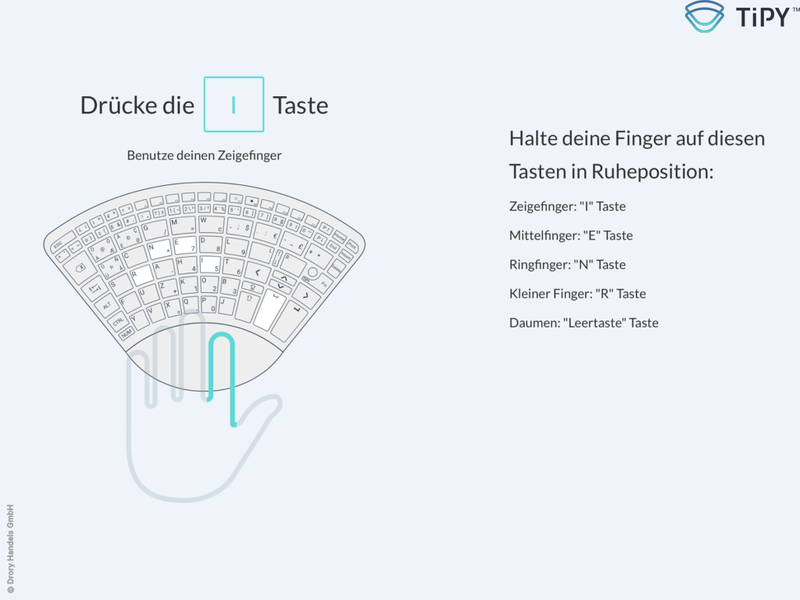 ORF 2 Konkret berichtet am 25.4.2018 über die TiPY Einhandtastatur auf der Integra 2018.